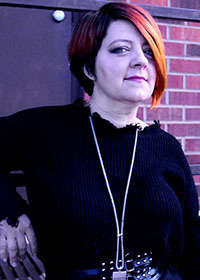 Grace, originally trained in Europe, has worked as a colour specialist stylist in various Toronto locations for 20+ years. From the fast paced Eaton Centre to Yorkville Spa and the fashionable Queen St. W. Grace created day looks and glam styles for special events and galas. Grace loves changing styles and creates fun, easy to care for looks on both short and long hair. She believes that colour should reflect one's mood and lifestyle and will deliver it while keeping hair in optimum condition. Grace’s passion in hair lies with curly hair and bright fashion colours. Grace is also passionately engaged in animal rescue and eco-friendly practices/initiatives. Megean is a young, creative intermediate hairstylist/ colourist with several years' experience, who continually seeks on-going education. Megean's warm, and engaging personality along with her exceptional customer service skills makes all clients feel at ease. Megean is always prepared for any situation! Whether you require a Glam Blow-out/ Special Occasion Do or a complete transformation, Megean is ready with suggestions to compliment your face, texture, and lifestyle. In addition, Megean also performs facial waxing services to keep you at your best. Nicole has been actively involved in the beauty industry for 15 years. 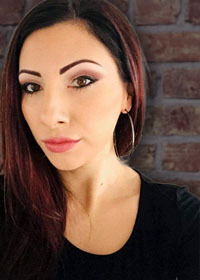 Nicole started by performing customized waxing, skin care and make-up applications, after completing Courses at the esteemed Complextions International School of Make-up Artistry in Toronto. Her passion for make-up lead her to specialize in Bridal & Special Events make-up. Nicole took 1st Place at the Toronto ABA in the Evening Glamour Category in 2017, and also placed the following year at the World Make-up competition in Germany. 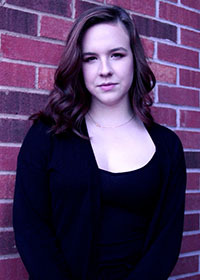 In the past 6 years, Nicole has completed a 2 year program in Hairstyling, while simultaneously apprenticing full time in salons, demonstrating and maintaining high quality standards of work and Client service. Nicole is excited to help you create a complete look; from shiny colours and glosses, to hilites/balayage, Men’s barbering as well as ladies and children’s cut and styles. Check out Nicole’s promotions for March, also book your Prom and Grad Make-up!! 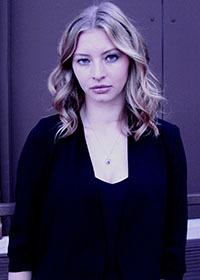 Jennifer O’Leary is the Owner and Master Hairstylist at Jennifer’s Hair Boutique. Jennifer’s sole ambition was to be a Hairstylist. With an early start in the industry in 1989, Jennifer has a wealth of experience in all facets of the hair industry. With over 28 years’ experience working in various salons, finalist in many competitions, and over 18 years’ experience as a ‘RUSK International Platform Artist and Educator’, working shows all over Canada, the U.S. and London, England. 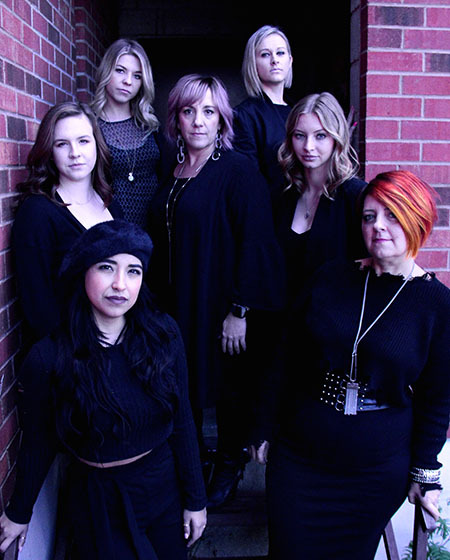 Jennifer graduated from hair school in 1991 and within the first few years of her career, Jennifer competed and placed 2nd, 3rd, 5th, in many local hair competitions; including two ‘Excellence Cups', the Toronto ABA, Joico Fantasy. Her thirsts for knowledge lead Jennifer to Hairworld '96 in Washington D.C, where she first saw Irvine Rusk on stage. That moment changed her life forever!!! Having been so inspired by the most amazing haircutting methods, the confidence that was exuded, and the honesty and passion of the team, Jennifer set out to become a "Ruskie"! Jennifer just celebrated over 18 years, as part of the Rusk Master Design Team, the promotion to Master Hairstylist. As an integral part of the team, Jennifer has travelled extensively educating other hairstylists internationally, representing Rusk on stage. Jennifer’s greatest passion and vision to date is the creation of Jennifer’s Hair Boutique. Jennifer has assembled a team of experts who share her passion for on-going education, and the desire to create unique looks for our clients, and to provide an unsurpassed ‘client experience’. 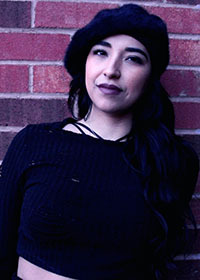 Jennifer is an expert in chemical straightening and smoothing services as well as colour corrections,and she continues to pursue her craft and bring her passion to all her clients.